In the Art Gallery of the Sport and Culture Center in Obrenovac, an exhibition of folk art was opened on January 18, under the title “What connects us”. 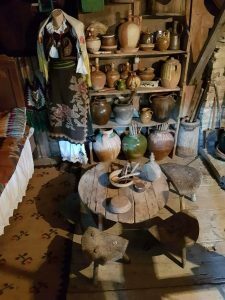 The exhibition is mainly about usable items and authentic folk costumes from the Kolubara, Tamnava, Posavina and Herzegovina regions. The objects were collected by ethnologist Lazar Milosevic, and Boris Mitrovic, student of the 4th year of the Faculty of Law at Megatrend University, helped. The exhibition will be open by the end of January.